FAYETTEVILLE, Ark. 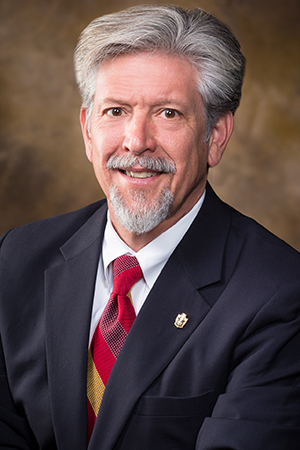 – Curt Rom, University Professor of horticulture at the University of Arkansas, has been appointed as the interim dean of the university’s Honors College. The current dean, Bob McMath, is retiring at the end of the month. Rom will assume his new duties on July 28. He will serve in an interim capacity while a national search continues the process of finding a permanent replacement. The selection committee is chaired by Javier Reyes, vice provost for distance education, and is made up of faculty, students and administrators. Rom has been director of the honors program in the Dale Bumpers College of Agricultural, Food and Life Sciences since 2011and has instructed honors courses and advised honors students for a decade. The Honors College encompasses all disciplines on campus, and provides transformative learning experiences for almost 3,000 undergraduate honors students, working with more than 700 research-active honors faculty. The college awards from $800,000 to $1 million in research and study abroad grants each year. The Honors College was founded in 2002, after the University of Arkansas received a $300 million gift from the Walton Family Charitable Support Foundation – at the time the largest gift in the history of American public higher education. A major portion of this gift was used to endow fellowships and scholarships to recruit exceptionally talented students for the Honors College. The Honors College was recently ranked third among the top 50 honors programs in the nation on the measure of “impact on the university,” and 17th out of 50 in “Overall Excellence.” The Honors College has consistently produced students who have earned Fulbright, National Science Foundation, Truman, Marshall, Gates Cambridge and Goldwater grants and scholarships. “It is an exciting privilege to work with the Honors College staff to provide value-added, high quality learning experiences for U of A honors students,” said Rom. “I look forward to working with the honors program directors and faculty to attract and retain the best and brightest students to the University of Arkansas and provide them exceptional learning opportunities to advance their careers. “I am grateful for the service of Dean McMath and the work he has done to create one of the nation’s best honors colleges,” Rom said. Rom joined the University of Arkansas faculty in 1989. Since 2005 he has been a professor of horticulture, crop production systems, sustainable and organic horticulture in the department of horticulture. In 2012 he was named co-director of the Center for Agricultural and Rural Sustainability in the University of Arkansas System Division of Agriculture. He is also the program director and project leader of the National Strawberry Sustainability Initiative. Rom earned his Bachelor of Science at the University of Arkansas and a master’s and doctoral degrees at Ohio State University. He was named Outstanding Faculty Member by the Associated Student Government in 2013.